Aprilia, the world’s fourth largest bike manufacturer is about to enter Indian two wheeler markets with their brand new model called Aprilia TUONO V4 R. Aprilia is a subsidiary of Piaggio, which is one of the favorite rickshaw and mini truck manufacturer in the nation. The bike was launched in EICMA show held in Milan last year. The bike is expected to be launched in India by mid 2011 and the price of this upcoming model in India is not yet announced and is expected to be around Rs.2,000,000/-. 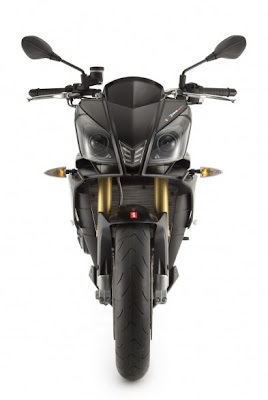 The Aprilia TUONO V4 R is called the naked street fighter according to the company statement. It is having 999.6cc liquid cooled V4 engine, which defines it as a superbike. The engine is having 16 valve double head over heated cam (DOHC). The bore and stroke dimension will be measured to as 78.0x52.3mm. The compression ratio will be 13:1 and the fuel delivery is done through injection mechanism. One of the significant part in the Aprilia TUONO V4 R is the clutch, which is bathed in oil and also multi plated with slipper action. Both the front as well as the rear brake is of disc. Both the wheels are of aluminum alloy and look very stylish in this super bike. It has a wheelbase of 1420mm and the seat height of 840mm. It has the fuel capacity of 17 liters and the bike weighs 394 pounds without fuel. The body is made of twin spar aluminium and the final drive of the bike is using chain. Both the suspensions in the bike are very much advanced when comparing with any other bikes. 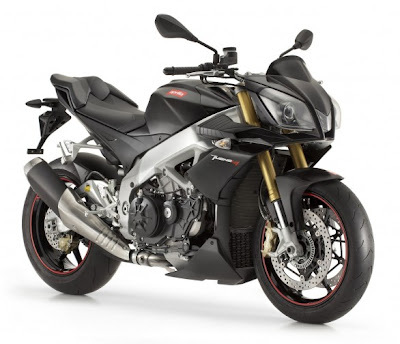 An very important news regarding the Aprilia TUONO V4 R is the at the rider has the privilege to select which mode of wheel spin setting need to be selected from the eight different choices available by using a traction control system. The traction control system is also used to fee the ECU data regarding the dynamics into the twin accelerometers as well as the gyro meters. Piaggio was expecting to break into the India two wheeler segments with a bang. Now in 2011, there are many power bikes awaiting their turn to enter like CBR from Honda, Ninja from Kawasaki and various models from Yamaha. Moreover India’s MUV specialist, Mahindra and Mahindra is also getting ready to launch their super bike Mojo. 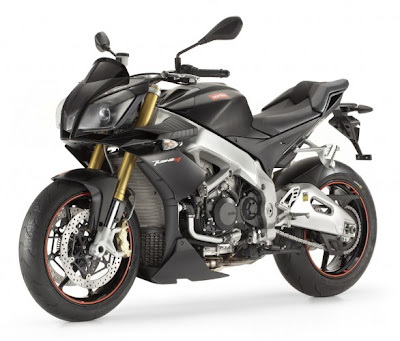 So, in order to be a part of the competition, Aprilia is also on its way with a beast. Looks really awesome! Super boke!